ATHENS TAXI - BUS FOR TRANSFERS IN GREECE. Book now with AthensTransports for a safe and secure transport service to/from Athens airport, port of Piraeus, Rafina, Lavrio, train stations, hotels or any other place around Greece. A professional driver will be waiting for you at the appointed place upon your arrival to help you with your luggage and drive you to the desired destination. For your convenience, he will be holding a tablet - sign with your name on it. When boarding from hotels the receptionist will inform you when your taxi arrives. All arrivals are tracked for possible changes, therefore our driver will be at the appointment place the right time in order to avoid any inconvenience and anxiety about finding a taxi or your luggage, or extra charges that will spoil your mood. 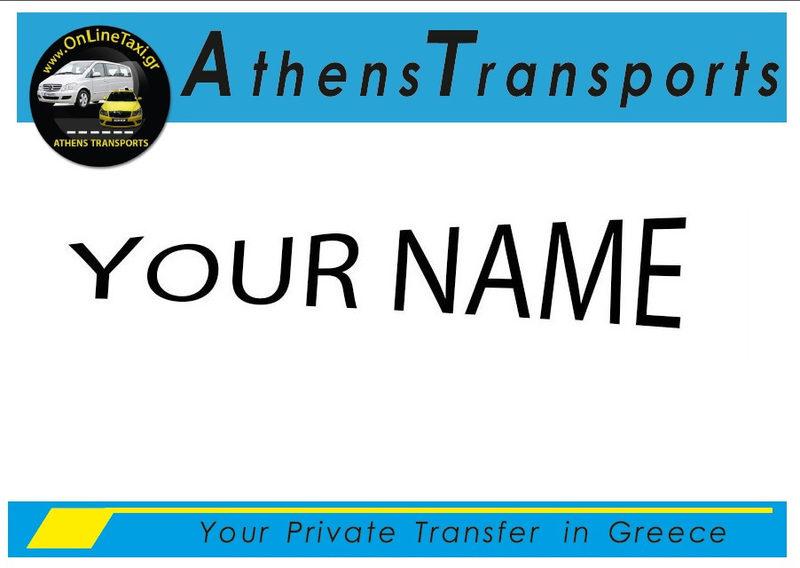 AthensTransports guarantees a safe, private and luxurious transfer for your clients. Experienced professional drivers of AthensTransports can give you and your clients top quality services for a professional journey or a vacation trip. Your clients can trust our innovative technological services for reliable and organized transportation with flexible and competitive prices. Complete our booking form bellow and for direct confirmation (trip within 12 hours), contact us to mobile phone numbers +30 6972028049,+30 6942208420. * First look for your destination on "Special Offers" and If you don't find it fill up the "Address Search" and we'll get back to you with our offer. Between 00:00 and 05:00 a Late Night Surcharge of 15€ is applicable for each transfer.